Concrete Sealing: What are the Benefits? Concrete, in general, doesn’t have to be sealed to perform well, but the additional benefits of applying a high-quality sealer to your driveway will be worth the small amount per square foot the sealer will cost. 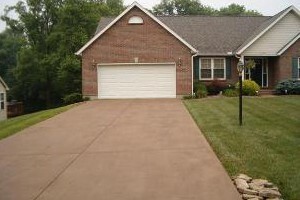 Sealing a driveway/walkway not only extends its service life, but it also improves the appearance of plain or a decorative concrete driveway by eliminating any unwanted intrusions into the pores of the concrete. 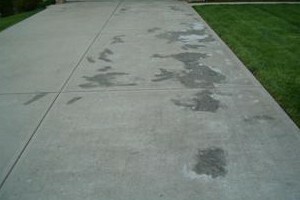 Generally, there are two categories of sealers for exterior concrete: film-formers and penetrants. Penetrating sealers tend to offer the best protection from moisture absorption. Regardless of the sealer used it must applied properly. Contact Bravo! Buffalo today for your free estimate!